Eva was great! She not only had our day running smoothly, but also helped me feel so much more relaxed leading up to it. She was a perfect fit for our photographer! She had a great respect for our relationship boundaries and worked with us to find some AMAZING shots! Thank you Eva! Eva is wonderful! Seriously, if you want the highest quality photos, you need Eva! She's so personable. She makes an average person, like me, feel like a model and the result is truly stunning photo's that I'm obsessed with! She took the time to teach us her 4 easy poses before the wedding so we wouldn't have to waste time on our big day. The directions are super easy and the poses didn't feel awkward or forced, it felt natural and we looked so great! We had a destination wedding in Maui. We found Eva in Lynnwood, and she flew to Maui just for us! (Can you say dedication!) She also went to our rehearsal dinner to get some great candid shots. It's so hard to choose a favorite photo, there are hundreds to choose from and they're all amazing! If I had to choose, I'd pick the one on the sandy beach! In reality, the beach was super crowded, and people were everywhere, but she worked her magic and it looks so intimate. My other favorite is the photo on the boat. We're sitting and smiling at each other, and we felt so comfortable just being ourselves. I don't know how our photos would have turned out with another photographer, and I'm really glad I don't have to find out. I'm recommending Eva to everyone I know! Kara and Thomas! Thank you so much for your wonderful review! Photographing your wedding in Maui was a dream come true and I hope it's the beginning of a few flights to the islands a year. I absolutely loved working with the two of you and am so happy to hear that you felt comfortable in front of my camera. (That's one of my goals with each couple!) I will forever think of the two of you on Cinco de Mayo aka Cinco de Maui moving forward! I sincerely hope our paths cross again in the future. Much love!!! XOXO Eva. Where do I even begin?! Eva is amazing! The entire experience was perfect, from our first meeting to the last photo on our wedding night. Eva was so helpful throughout the planning process, and is incredibly organized and detail oriented. She was so much more than just a photographer, and went above and beyond every time. Our engagement and wedding photos are amazing and we will cherish them forever. We couldn’t imagine a better person to have trusted with such an important part of our big day, and we feel so lucky to have found her! Eva is a very talented photographer and a pleasure to work with. She really treats her clients like family. 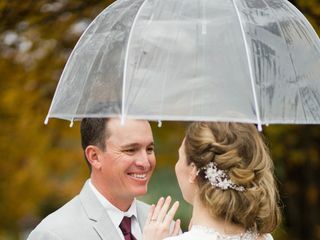 Our engagement shoot had to be rescheduled because of the weather and she was very accommodating and flexible so that we could get it done in the right time frame. She was organized and thoughtful throughout the whole process and responded very quickly to any questions. Our wedding photos are ABSOLUTELY BEAUTIFUL! We love Eva's natural, bright style of photography. We didn't look too posed in any of the pictures and she captured us perfectly! She has a good balance of classic and different / interesting poses that all turned out amazing. She really listens to her clients about their preferences and makes sure to incorporate that into her work. We will use Eva for all of our future photography needs! I can't say enough about how AMAZING Eva is! I really took my time looking for a photographer because these were going to be the moments that would last forever! Not to mention I don't find myself to be the most photogenic person and I really don't like having my photo taken :) When we met Eva for our engagement photo session she was just what I had hoped for! She gave us good direction for posing and made it feel very easy and natural for my hubby and I! I knew as soon as we got our engagement photos back that we chose the right photographer because you can see the quality of work immediately and people raved about our photos! Getting those engagement photos back made me that more excited for the wedding day! Our wedding day photos turned out absolutely stunning and we got them back soooo quickly! You can tell Eva has such pride and passion in her work and really cares about getting to know her couples! I highly recommend her and get asked all the time by friends who are photographer was! Definitely an A+ pick for our photographer! Hiring Eva was one of the best decisions we made in our wedding planning process. She is a wonderful human being and a talented photographer. Eva was so helpful on the day of the wedding. 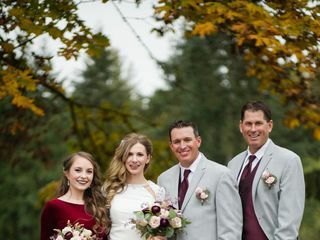 This was our family's first time planning a wedding and we were not as organized as we should have been and Eva helped to keep things running smoothly the day of the wedding. She was friendly and fun but also was able to effectively direct the wedding party members to where they needed to be to keep things running on time. She delivered our photo gallery within a couple of weeks and we absolutely love our photos. Before we got the full gallery she provided several preview photos. I would recommend Eva 100% for anyone looking for an awesome wedding photographer. Thanks Eva!! Eva was so great to work with! From the beginning she was very helpful, answering all my questions and even referring other vendors she has worked with! Eva was great on the day of the wedding too, she sent us list to fill out with all the portraits we wanted, and she made a schedule for us, and made sure we kept to it! We had a big family and she got through our family photos quickly so that we could get on to the party! All of our guests raved about how accommodating she was with requests for photos. Hire Eva for your wedding and you will not be disappointed. Our photos turned out beautiful and she sent us our photos before we were even back from our honeymoon! As the Mother of the bride, seeing the pictures that Eva took captured my daughters wedding perfectly. Eva was professional and easy to work with. She found many special places at the venue to make each picture unique as well as capturing everyone's joy throughout the event. Her personal attention with everyone she encountered helped every picture come out beautifully. I loved being around her as she helped my daughter create her dream wedding. She is so easy going but focused! (Pun intended) I highly recommend her to create your family memories. Hiring a wedding photographer can be extremely over whelming, however Eva was easily one of the best decisions we made for our wedding. My wife and I love our engagement and wedding photos! She is very organized, communicative and and lets you know whats going on every step of the way. She's also super friendly! From day one she made us feel at ease and eliminated any stress evolved with the photography. As someone who is camera shy she made it extremely comfortable. I wouldn't recommend any other wedding photographer! Eva is amazing!! Not only is she incredibly professional and delivers great photos (which is what it’s all about at the end of the day), but she’s also super friendly, communicative, and just a joy to work with. She was a friendly support system giving reassurance and advice where needed but was a journalistic "fly-on-the wall" when appropriate. She could both take direction and give us great advice and direction where we needed it. Eva was the most organized wedding vendor I worked with. She was very communicative, responding to all of our questions super quickly. She and her second shooter also coordinated ALL of our wedding guests into two fantastic group photos at our request – no easy feat. 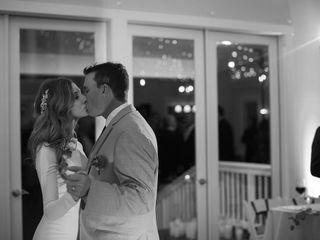 Most importantly, she captured such great images of our wedding day! 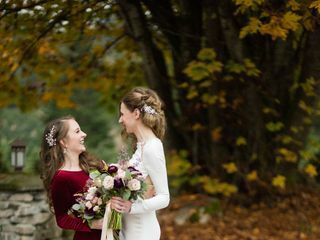 Her turn-around time is also very fast: she sent sneak peeks right away, with a complete album just a few weeks later, which was great because everyone was super anxious to see her amazing photos. We are so happy with all the amazing images we have to help us remember this day and share with friends and family. Thanks Eva! My wedding being the first wedding that I was really part of the planning process I was overwhelmed to say the least. I couldn't be more thankful I found Eva! The photos were one of the most important parts of my wedding, and Eva knew exactly what she was doing. Looking back one of the things I appreciate most about working with her is her love for what she does. Her passion for capturing your beautiful moments is clear from the start. She thinks about all the little details that have never crossed your mind, and makes sure she delivers exactly what you want. On top of that though, she's one of the nicest people you will ever meet and a lot of fun to work with. My husband and I are pretty shy and we were worried about our engagement shoot, but she had us relaxed and even enjoying it in no time. Between the engagement shoot and the wedding day she went over ALL the details with us so she could ensure everything was just the way we wanted it and she absolutely nailed it!! Our pictures are beautiful, absolutely everything I wanted! Since our wedding my wedding party and family have all made comments about how great she was to work with and I can't think of anyone else I would want to work with for any of my future photography needs. I can't thank Eva enough for everything! The best wedding planning decision you can make is to include Eva. She is patient, funny, kind, and so incredibly talented! I am super introverted and was terrified about being in front of a camera. Eva made me (and my husband) feel so comfortable and we had a great time! AND we had our photo gallery a week after the wedding! If I ever have another reason to have a photographer, Eva will be my first call. If you are looking for a great photographer look no farther! Eva is incredibly professioinal, funny, and her photos are amazing! We did our Engagement shoot with her and were on a crunch timeline to get our photo save the dates out and she was very fast with turning around our photos we were able to get them out on time! For our wedding she was a huge help with working out the timeline and her suggestions on how much time I should allow for everything! We got our wedding photos back super fast and they are better than I could have expected! If you want an amazing photographer look no farther! We will be repeat customers in the future! I've known Eva for years and began following her photography on Instagram and Facebook fairly recently. It seemed like with every post her photos got more and more beautiful. I knew that I wanted her to capture my wedding and she did such an amazing job. She is incredibly communicative and really dedicated to making sure she documents everything that's important to the bride and groom. On the day of the wedding she was amazing about keeping everything on track and under control. She turned around our wedding gallery so fast that we were able to view the photos before we even came home from our honeymoon which was such a fun surprise. Next time important photos are needed, Eva's my gal. You can look at Eva's portfolio to know she takes GORGEOUS photos, but her quality of service does not stop there. Hiring her for our wedding was the BEST decision we made for the day. Of all my vendors, Eva was THE most organized, responsive, and helpful. She listened to and delivered exactly everything we wanted. She made us feel totally comfortable in front of the camera, and went way above and beyond in every area. I will absolutely recommend Eva to all of my friends and use her again in the future! Eva was the perfect photographer for our wedding. She really listened to our hopes for our wedding pictures. The pictures exactly what we hoped for + more (natural, fun, beautiful! ), and she had our gallery available online in less than 1 week. Also, she was incredibly responsive and flexible as we changed our mind about a few details last minute. Thank you Eva! I am recommending her to all family and friends! Working with Eva and her second shooter, Missy, was such a great experience. Eva was so professional and easy to talk to. I felt so relaxed around both Eva and Missy during my big day. Eva was able to capture every single photo on my "photo wish list" and really followed through with our expectations of how we wanted our wedding day photographed. It was a pleasure working with her and I thoroughly appreciate her continued support and responsiveness to every silly question I asked throughout the whole process leading up to my wedding day. My husband and I were so pleased to have been able to work with her and we highly recommend her to anybody looking for a great photographer. Thank you so much Renee!!! I loved working with you guys and hope our paths cross again in the future!!! Eva is amazing! She is talented, patient, creative...not to mention she is the NICEST PERSON EVER. When I had first talked to Eva over the phone, I knew she was the photographer for us. She understood what I was looking for and definitely delivered. Our photos turned out better than we could have ever hoped! Eva captured every single moment and detail of our big day perfectly, details I hadn't even noticed :) We had SO MANY great shots from our wedding - I don't think there was a single photo we didn't love. I can't say enough great things about this photographer. Eva won us over from the beginning with her sweet disposition, flexibility and her amazing eye for detail. Deanna! Thank you so much!!! Thank you for all of your kind words! It was truly an honor to be there to document your vow renewal. Everything about your celebration in Woodinville was perfect - the atmosphere, the decor, and (most importantly) the people. I sincerely hope our paths cross again! Thank you for your review Lindsey! 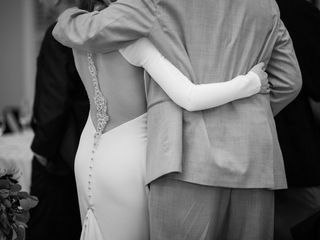 I absolutely loved being at your wedding to capture every special moment. I am also thankful that you guys opted to have a second shooter as part of your custom package as it allowed us to capture a couple of different, beautiful perspectives. So happy to that you love your photos and cannot wait to capture your next big milestone! xoxo! I have used Eva Rieb Photography about 6 times. I have always used her for our family shots, but since I was hosting a surprise birthday party, I only thought of her when I started thinking about capturing those special moments. Eva is always prompt, reliable, forthcoming and pleasant. She knows when to stand back and allow a priceless moment to occur (and she captures it) and she knows when to gather people and get them to pose perfectly. I know I will get a wonderful collection of memories from her. Highly recommend Eva Rieb Photography.